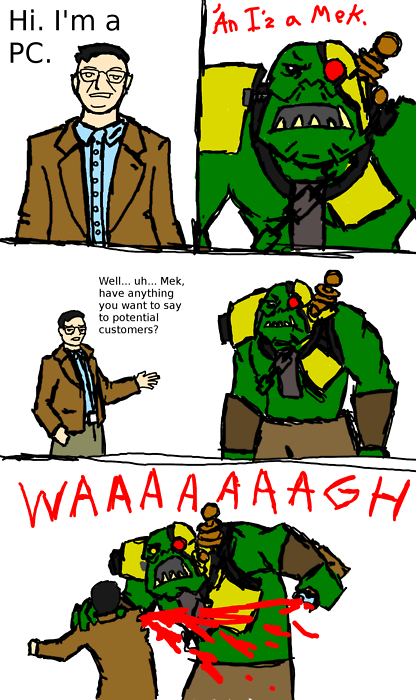 Best Ork Memes And Quotes Share Them! Discussion in 'Orks' started by Markal, Oct 22, 2013. Yes, that was funny. Thank you for sharing. Thrakka, Warboss Grot-Stompa and Joosh like this. Here are some 40k memes I have drawn, if you guys are interested haha. DaKaptin, Steelhide, GoreWrencha and 2 others like this. thantrus and Thrakka like this. i'z luv dis so much HEHAAA! I was surfing the Deep Web when I found this. Madgenius4, DaKaptin and Thrakka like this.